After releasing 10 back-to-back episodes of the Season 5 premiere of Netflix’s “Orange Is the New Black,” a hacking group calling itself The Dark Overlord is threatening to leak a trove of other unreleased TV shows and movies. The Dark Overlord (TDO) posted links to the first 10 episodes of the upcoming season of “Orange Is the New Black” show to a piracy website after Larson Studios and Netflix failed to fulfill the group’s ransom demand. According to Netflix’s website, the season 5 of “Orange Is the New Black” show is scheduled to debut June 9 and supposed to run 13 episodes. But TDO claimed that only the first 10 episodes were available at the time the group gained access to the show. On Saturday, the group headed on to Twitter and posted links to a Pastebin page, GitHub profile, and the Pirate Bay torrent site sharing Episode 1 of “Orange Is The New Black” season 5 show. At the time of writing, the Pastebin (web archive) and GitHub links went down, but the Pirate Bay torrent file remained up, and users have downloaded and shared its content. According to the Pastebin post, the group released 10 episodes of the show because Netflix didn’t pay a ransom demand. In an interview with the DataBreaches.net, the hacking group revealed it managed to steal “hundreds of GBs [gigabytes] of unreleased and non-public media” from the servers of Larson Studios, an ADR (additional dialogue recorded) studio based in Hollywood in late 2016. While the group did not reveal its attack method nor how much ransom it demanded, according to a copy of a contract allegedly signed between TDO and Larson, the hacking group asked for 50 BTC ($70,422) by January 31. 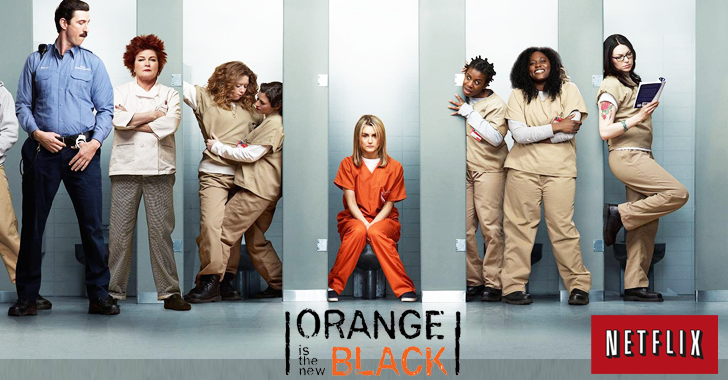 But after the studio stopped responding to the group’s email requests in January, TDO turned to Netflix, which also did not pay the ransom either, eventually forcing the group to release the first 10 episodes of season 5 of “Orange Is The New Black” after two months. After releasing all the 10 episode of the unreleased show, TDO threatened to leak other unreleased shows and movies from several other studios in its possession. The Dark Overlord is a known hacking group that was responsible for cyber attacks on Gorilla Glue and Little Red Door, an Indiana Cancer Services agency. The group also put 655,000 healthcare records lifted from 3 separate data breaches up for sale on the dark web. According to the McAfee Labs, malware attacks on Apple’s Mac computers were up 744% in 2016, and its researchers have discovered nearly 460,000 Mac malware samples, which is still just a small part of overall Mac malware out in the wild. 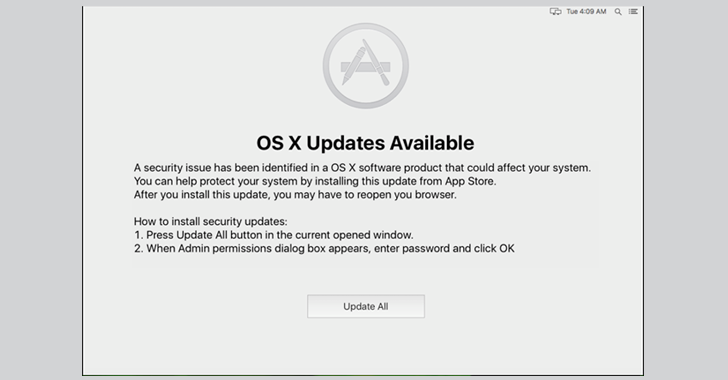 Since the malware author is using a valid developer certificate signed by Apple, the malware easily bypasses Gatekeeper — an inbuilt security feature of the macOS operating system by Apple. Interestingly, the DOK malware is also undetectable in almost all antivirus products. Once installed, the malware copies itself to the /Users/Shared/ folder and then add to “loginItem” in order to make itself persistent, allowing it to execute automatically every time the system reboots, until it finishes to install its payload. 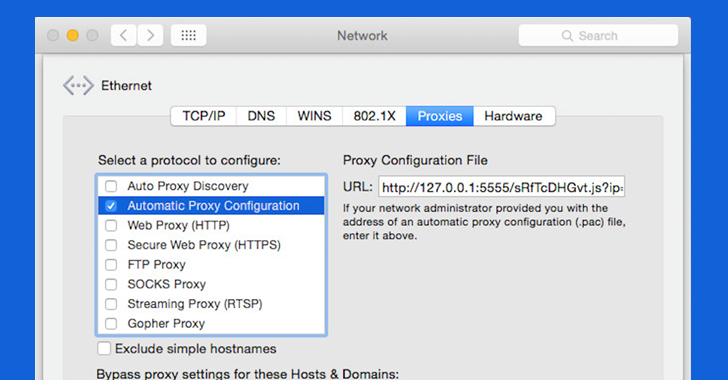 Once the victim installed the update, the malware gains administrator privileges on the victim’s machine and changes the victim system’s network settings, allowing all outgoing connections to pass through a proxy. As BleepingComputer reports, customers of Sierra Tel unexpectedly found themselves without telephone and internet connectivity on April 10. In a statement issued by the ISP the following day, the blame was put firmly on “a malicious hacking event” that had disabled the Zyxel HN-51 routers in many Sierra Tel customers’ homes. In a desperate attempt to resolve an escalating problem, Sierra Tel’s affected customers were advised to physically take their broken routers into the ISP’s offices and pick up a replacement. However, supply shortages meant that replacements quickly ran out, and users reliant on an internet connection had to drop off their devices and wait for news that they had been properly repaired. Now, BleepingComputer reports that the blame for the outage is being put at the door of two warring malware families: Mirai and Brickerbot. Mirai needs little introduction, having infamously hijacked hundreds of thousands of IoT devices to launch a massive distributed denial-of-service attack last year against Dyn’s domain name system infrastructure. BrickerBot, however, appears to be the creation of a vigilante grey-hat who goes by the online handle of “Janit0r”. If his claims are to be believed, Janit0r wrote BrickerBot to firstly attempt to fix the security holes on vulnerable IoT devices and – if that fails – adopt what is euphemistically known as Plan B: Brick the devices. The thinking? A broken device can’t be infected by further malware in the future, and effectively becomes the vendors’ problem to sort out. You can’t deny that a non-working broadband router is more likely to get the attention of the typical internet user than the standard security advisory. Those of you with a long memory may recall that Zyxel broadband routers were also at the centre of an attack which knocked offline customers of the UK Post Office, TalkTalk, Deutsche Telekom, and Ireland’s biggest telcoms provider, Eir, offline last year. Sierra Tel seems to have worked hard to retain the support of its customers, and to be transparent in its communications about what was going on. But you can’t help but feel that too many ISPs are foisting poorly protected routers onto the public, without properly considering the security implications. Much of the malware that has been seen impacting IoT devices has relied upon default passwords, or functionality which allows service providers to manage customers’ hardware remotely without restricting such access to, say, the ISP’s own managed network. My fear is that this won’t be the last time we see innocent people inconvenienced while malware battles for control over their poorly-secured IoT gear. “This outside approach–drawing on the talent and expertise of our citizens and partner-nation citizens–in identifying our security vulnerabilities will help bolster our cybersecurity. We already aggressively conduct exercises and ‘red team’ our public facing and critical websites. But this next step throws open the doors and brings additional talent onto our cyber team,” said Air Force Chief of Staff Gen. David Goldfein. “Every business or organization has a finite amount of time and specialized skills necessary to find vulnerabilities within their networks, but when you open them up to such a diverse group you get amazing results at low cost,” said Chris Lynch of the Defense Digital Service (DDS), an organization comprised of industry experts incorporating critical private sector experience across numerous digital challenges. “We’re mobilizing the best talent from across the nation and among partner nations to help strengthen the Air Force’s cyber defenses. It’s an exciting venture, one that will make us better, and one that focuses an incredible pool of capabilities toward keeping our Air Force sites secure,” said Acting Secretary Disbrow. Registration for the ‘Hack the Air Force’ event opens on May 15th on the HackerOne website. The contest opens on May 30thand ends on June 23rd. Military members and government civilians are not eligible for compensation, but can participate on-duty with supervisor approval. Some websites, including one secured by the U.S. Department of Homeland Security, fail in their use of security certificates and break the chains of trust. Group messaging platform HipChat this week prompted users to reset their passwords following a security incident involving one of its servers. Atlassian-owned HipChat claims that a vulnerability in a popular third-party library used by HipChat.com was at fault, and that the incident affected only a server in the HipChat Cloud web tier. No other Atlassian systems or products appear to have been affected, the company says. However, to ensure that users’ data remains secure, the company decided to invalidate passwords on all HipChat-connected user accounts. It also sent notifications to those users and provided them with details on how to reset their passwords. The incident, HipChat Chief Security Officer Ganesh Krishnan reveals, resulted in attackers possibly accessing user account information such as name, email address and password (hashed using bcrypt with a random salt) for all instances (each of which is represented by a unique URL in the form company.hipchat.com). Room metadata such as room name and topic might have also been accessed. In some cases, messages and content in rooms may have been accessed as well. The company says that, for more than 99.95% of instances, there was no evidence that messages or content in rooms have been accessed. “Additionally, we have found no evidence of unauthorized access to financial and/or credit card information,” HipChat revealed. HipChat Server uses the same third-party library, but it has been deployed in a manner that minimizes the risk of this type of attack, the company says, adding that an update will be shared to customers directly through the standard update channel. “We are confident we have isolated the affected systems and closed any unauthorized access. To reiterate, we have found no evidence of other Atlassian systems or products being affected,” the company notes. Atlassian continues to investigate the incident and says that it is actively working with law enforcement authorities on this matter. Owned and operated by Atlassian Pty Ltd, HipChat is a chat platform that aims at providing business users with group chat, video chat, screen sharing and required security in a single app. It brings together services that teams might be using every day, features 256-bit SSL encryption, and also packs cloud integration and synchronization across devices. In an emailed comment, Michael Patterson, CEO of Plixer International, pointed out to SecurityWeek that this incident once again proves that any tool a manufacturer uses can be abused for compromise. “HipChat hashes passwords using bcrypt with a random salt, which adds a layer of security, and they reset the passwords associated with effected accounts. In this case the compromise came from a trusted 3rd party, which highlights that threat surfaces for any tool extend beyond the manufacturer themselves,” Patterson said. According to Fortune, CFO Jack Hartung told Wall Street analysts during an investor presentation that the company’s payment processing system was hacked. He said: “We want to make our customers and investors aware we recently detected unauthorized activity on a network that supports payment processing for purchases made in our restaurants. How the data involved with this most recent breach was compromised isn’t exactly clear. The forums impacted (including the U.S., France, German, and Russian variants) are all operating on different versions of vBulletin. Some of these older versions contain known vulnerabilities, based on a passive search of Exploit Database. LeakBase shared the most recent records with Troy Hunt, a security researcher and owner of the non-profit breach notification website “Have I Been Pwned?” (HIBP). There were 5,191,898 unique email addresses in the data shared by LeakBase. However, 3,379,071 of those email addresses were using mail.ar.r2games.comor mail.r2games.com; and another 789,361 looked generated, as they were all [number]@vk.com addresses. When asked about the passwords, Hunt told Salted Hash many of them are MD5 with no salt, but a large number of them have a hash corresponding to the password “admin” and a few hundred thousand others are using the plain text word “sync”. “The observation I’d make here is that clearly, they don’t seem to be learning from previous failures. The prior incident should really have been a wake-up call and to see a subsequent breach not that long after is worrying. Perhaps the prior denials are evidence that they just don’t see the seriousness in security,” Hunt said, when asked his opinion about the latest R2Games data breach. Salted Hash reached out to R2Games, but the company didn’t respond to questions. Emails were sent to support, as well as recruiting and sales, on the off chance someone could direct them to the proper resources. For their part, LeakBase said since this data breach isn’t in the public domain, they will not add the records to their service and it will not be searchable. However, they do plan to email impacted users and inform them of the incident. If you’re an R2Games player, it might be wise to change your password and make sure the old password isn’t used on any other websites. Also, keep an eye out for gaming related offers and emails, as well as “notifications” from domains that aren’t related to R2Games itself – as those could be scammers looking to cash-in on the breach. While the hacked data isn’t public yet, there’s nothing preventing the person who shared it with LeakBase from selling it or trading it.